The following is Chapter 9, “The Blessed Sacrament”, from Jason Evert’s new book, Saint John Paul the Great: His Five Loves. 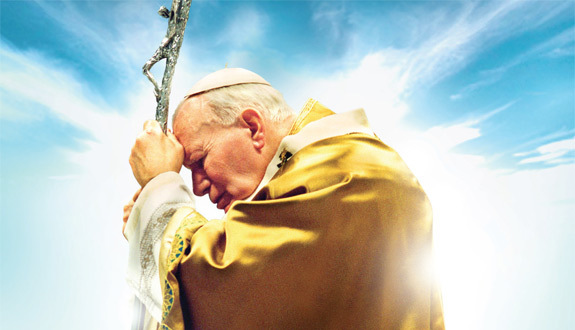 Between 5:00 and 5:30 a.m.—and sometimes as early as 4:00—Pope John Paul II would arise each morning, keeping virtually the same schedule he had as the bishop of Kraków. Although he enjoyed watching the sunrise, the main reason for his early start was to make time for prayer. He prayed the Rosary prostrate on the floor or kneeling, followed by his personal prayers, and would then go to the chapel in order to prepare for 7:30 Mass. According to his press secretary, Joaquín Navarro-Valls, his sixty to ninety minutes of private prayer before Mass were the best part of his day. He told one of his biographers, “There was a time when I thought that one had to limit the ‘prayer of petition.’ That time has passed. The further I advance along the road mapped out for me by Providence, the more I feel the need to have recourse to this kind of prayer.” Quite often, those who sent the petitions wrote back in thanksgiving for answered prayers. His assistant secretary noted that most of them expressed gratitude for the gift of parenthood. Not only did he intercede before the tabernacle for these individuals as if they were his most intimate friends, he routinely sought information about the progress of the cases. The liturgy would not begin until he had before him the petitions people had asked him to offer on their behalf. During the celebration of the Eucharist, one observer noticed, “He lingered lovingly over every syllable that recalled the Last Supper as if the words were new to him.” Then, after the moment of Consecration, he would genuflect before Christ’s presence on the altar with tremendous reverence. Visitors to his private Masses noticed that you could hear the thud of his knee slamming down upon the marble floor when he became too weak to support himself as he genuflected. After Mass, a lengthy time of thanksgiving followed before the Holy Father greeted guests and gave each of them a Rosary. Prayer was the rhythm of theHoly Father’s life. He made time to pray before and after his meals, and interspersed his Breviary prayers (the Liturgy of the Hours) throughout the day and night, calling it: “very important, very important.” At six in the morning, at noon, and again at six in the evening, he would stop whatever he was doing to pray the Angelus, just as he had done while working in the chemical plant in Poland. He prayed several Rosaries each day, went to confession every week, and did not let a day pass without receiving Holy Communion. Each Friday (and every day in Lent), he prayed the Stations of the Cross, and preferred to do this in the garden on the roof of the Papal Apartments. During Lent, he would eat one complete meal a day, and always fasted on the eve of our Lady’s feast days. He remarked, “If the bishop doesn’t set an example by fasting, then who will?” The Holy Father knew that his first duty to the Church was his interior life. Each night, he looked out his window to Saint Peter’s Square and to the whole world, and made the sign of the cross over it, blessing the world goodnight. For many years, he ascended to the roof of the Papal Apartments to offer this nightly blessing. Visitors standing in the square noticed that his light often went off between eleven and one in the morning. One of his biographers noted that he seldom went to bed before midnight. As a priest and bishop, and perhaps as pope, he sometimes slept on the bare floor. In Krako«w, his housekeeper knew of this, and noticed that he would crumple his bed sheets to conceal it. The Holy Father looked as though he never stopped praying. I never saw anyone so constantly immersed in union with Christ and God, as though it were a permanent state that led him to submit everything he did unto the Lord’s hands. His attentiveness to others, his gestures, words and readings—everything he did was bathed in prayer, like the great mystics. It could be said that he didn’t make time to enter prayer. Rather, he made time for the sake of others to come out of it. Because he believed that every encounter was providential, he stated, “As soon as I meet people, I pray for them.” Those who had the blessing of meeting him in person would not be surprised by this information, based upon how fully present he was to each person he encountered. One of his secretaries affirmed this: “He prayed for everyone he met. He prayed before and after the meeting.” This didn’t apply only to formal meetings, as he could often be seen praying the Rosary as he waved at crowds from his Popemobile. It was then that I witnessed for the first time something I will truly never forget, and that—overcoming my reservations—I am telling here for the first time. I seek to do so accurately and with purity of heart. His head was bowed and he was absorbed in prayer, totally immobile, without even the slightest movement. He was in a sort of trance—or I dare say, ecstasy—which he was modestly hiding from us. In fact, I couldn’t see his face or even tell whether his hands were folded or not. Nor if his eyes were open or closed. Instead, I had the very clear sensation that I was observing someone endowed with a spiritual power that was no longer human; someone who no longer belonged to this world, but was living those minutes in complete communion with God, with the saints, and with all the souls of heaven. The unreal sparkle of the snow all around emphasized this impression. A complete silence had descended. Everything was motionless, as if a state of contemplation had taken hold of every element of nature. . . . He never moved so much as a millimeter, his muscles were motionless like everything else around him. Then, the strangest thing occurred. The Pope, after [the] tiniest imperceptible movement, revived and then slowly got up, and when we looked at our watches, realized that almost an hour had gone by. It was my hope, my intention to kneel a little behind him. I couldn’t. I couldn’t. As soon as he knelt, it was like a sacred space, like a tent was around him, and I moved away. I moved three or four yards back and stood by one of the stone pillars of the cathedral. Because you had to leave space there. . . . He went into the deepest prayer. . . . I’ve rarely seen anyone in that state of such deep prayerfulness. He wasn’t with us any more. He was with the Lord. He knelt and then in ten seconds he was gone. It was so holy, I moved back. And he was there, for about maybe seven or eight minutes, lost in total prayer. Then, Monsignor Dziwisz took his elbow and he gently got up, turned around with a great smile, waved to the people, and walked on. Well, the Pope didn’t rise. He just stayed put. And the poor man [the master of ceremonies], whatever got into him, it went from bad to worse: So he waited a couple of minutes, and then he made the second announcement: “The Pope will now rise.” Incredible. And the Pope didn’t rise. So then he just knelt down and stayed quiet. When the Pope was ready, then he rose and went on. Sometimes when John Paul emerged from such interludes of deep prayer, he didn’t seem refreshed, but was instead preoccupied and burdened with the weight of information that others were not privy to. On one such occasion in the wilderness, a witness reported that he appeared to be “shaken to the core” and immediately requested that he descend from the mountain to return to his lodging. Within hours, the Iraqi army invaded Kuwait, and the Gulf War began. In order to understand profoundly the meaning of prayer, one should meditate for a long time on the following passage from the Letter to the Romans: “For creation awaits with eager expectation the revelation of the children of God; for creation was made subject to futility, not of its own accord but because of the one who subjected it, in hope that creation itself would be set free from slavery to corruption and share in the glorious freedom of the children of God. We know that all creation is groaning in labor pains even until now; and not only that, but we ourselves, who have the first fruits of the Spirit, we also groan within ourselves as we wait for adoption, the redemption of our bodies. For in hope we were saved” (Rom 8:19–24). And here again we come across the apostle’s words: “The Spirit too comes to the aid of our weakness; for we do not know how to pray as we ought, but the Spirit himself intercedes with inexpressible groanings” (cf. Rom 8:26). Holy Spirit, I ask you for the gift of Wisdom to better know You and Your divine perfections, for the gift of Understanding to clearly discern the spirit of the mysteries of the holy faith, for the gift of Counsel that I may live according to the principles of this faith, for the gift of Knowledge that I may look for counsel in You and that I may always find it in You, for the gift of Fortitude that no fear or earthly preoccupations would ever separate me from You, for the gift of Piety that I may always serve Your Majesty with a filial love, for the gift of the Fear of the Lord that I may dread sin, which offends You, O my God.
. . . love is ignited within us, love is renewed within us. Therefore, these are not hours spent in idleness, when we isolate ourselves from our work, but these are moments, hours, when we undertake something that constitutes the deepest meaning of all of our work. For no matter how numerous our activities, our ministries, however numerous our concerns, our exertions —if there is no love, everything becomes meaningless. 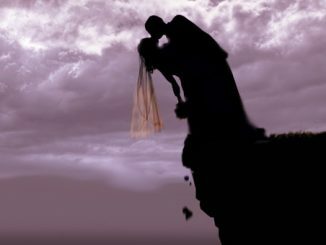 When we devote our time to ponder the mystery of love, to allow it to radiate in our hearts, we are preparing ourselves in the best possible way for any kind of service, for any activity, for any charitable work. John Paul’s extravagant love for Christ in the Eucharist sometimes became problematic for his handlers. In fact, the prefect of the Papal Household often warned the organizers of papal events to make sure not to allow the Pope to pass within view of a place where the Eucharist was reserved. Otherwise, he’d surely enter the chapel for prolonged periods of time and the entire schedule would be thrown off. In 1995, Father Michael White was invited to organize the Pope’s visit to Baltimore on behalf of the archdiocese. Prior to the Holy Father’s arrival, the chief organizer for papal pilgrimages, Father Roberto Tucci, SJ, came to Maryland to scout out the venues and make the necessary arrangements for John Paul’s trip. When he arrived at the archbishop’s residence, he noticed that one of the doors in the hallway the Pope would pass through opened into a chapel with the Blessed Sacrament. He’s never been in this place before, never set eyes on the place, and there was nothing about the door that distinguished it in any way as a chapel. It was just one more door in a corridor of doors. But he turned right back around, he opened that door up, and he went into the chapel and he prayed. According to Father White, the Holy Father remained in prayer long enough to “do some damage” to the schedule, then left the residence to head to his appointment. The Holy Father ended his visit to Baltimore at St. Mary’s Seminary in Roland Park. A helicopter was staged on the front lawn of the seminary to take him to the airport, where he was to meet with the vice president of the United States. A crowd of enthusiastic future priests gathered on the steps to wave at the Pope when he arrived, but John Paul’s handlers were clear about the schedule: There was no time for him to make a visit. The seminary had been begging for months to be included in the Holy Father’s schedule, but time would not allow it. He walked in the door, and this was completely unplanned and unscripted at this point. The Secret Service hadn’t even done a complete sweep of the building because this wasn’t part of the deal. And he just walked into that building and walked right to the chapel, like he knew where it was. It was just remarkable. After spending a generous amount of time before the Eucharist, briefly viewing the facility, and greeting the future priests—with evident joy and absolutely no sense of urgency—he proceeded to his meeting at BWI Airport, where he had kept Vice President Gore and the entire entourage for the departure ceremony waiting! How many times in our lives have we seen two people separated who love each other? During the ugly and bitter war, in my youth, I saw young people leave without hope of return, parents torn from their homes, not knowing if they would one day find their loved ones. Upon leaving, a gesture, a picture, or an object passes from hand to hand in a certain way in order to prolong presence in absence. And nothing more. Human love is capable only of these symbols. Thus, to say farewell, the Lord Jesus Christ, perfect God and perfect man, did not leave his friends a symbol, but the reality of himself. . . . Under the species of bread and wine, He is really present, with his Body and his Blood, his Soul and Divinity. If a person is unable to visit or receive the Eucharist, John Paul recommended that he or she make a spiritual communion, taking a moment to invite Jesus into one’s heart. • Learn more about Jason Evert’s book, Saint John Paul the Great: His Five Loves.